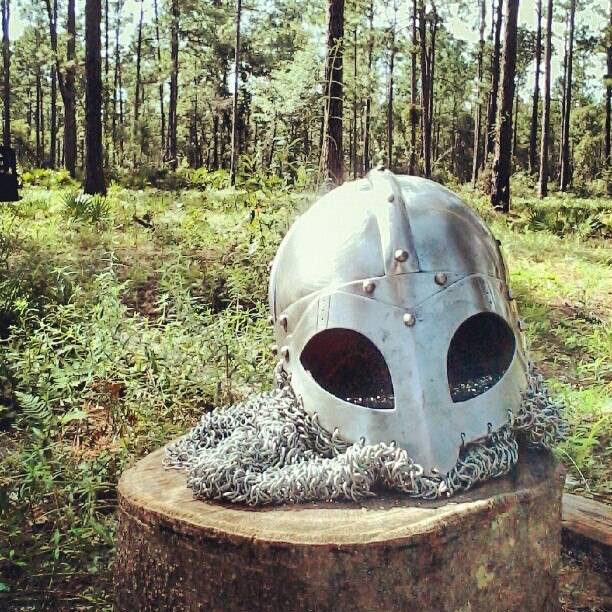 There are many people who love larp, but only some decide to take an extra step to actively promote it where they can. Kaza Marie didn't just take an extra step, she took a giant leap as she's active on Tumblr, Twitter, Facebook, Flickr and Youtube - she literally has tens of submissions every day. 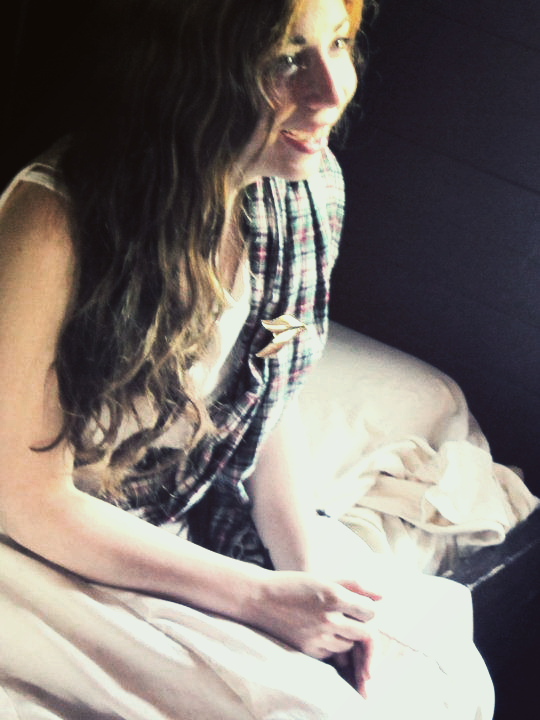 She quickly became recognized online under the Larp Girl pseudonym. Thank you for having me. I have always been interested in the hobby. 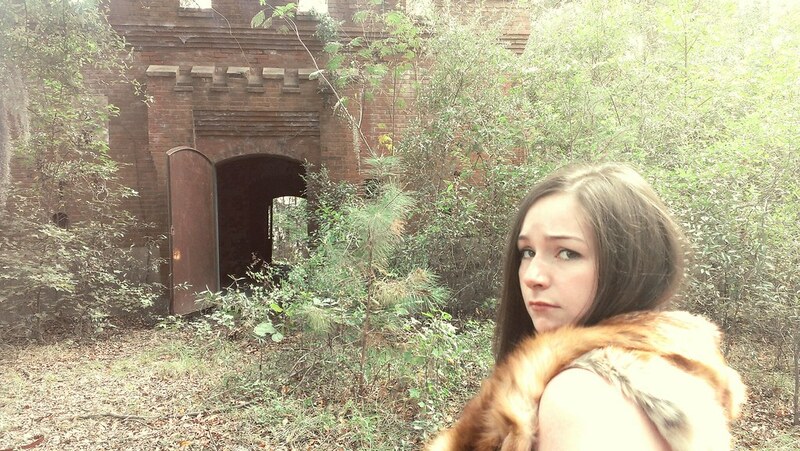 I had my eyes set on the LARPs with medieval setting. I purchased some Dagorhir weapons and practiced in my back hard until I felt brave enough to attend an event alone. I went to a few combats. 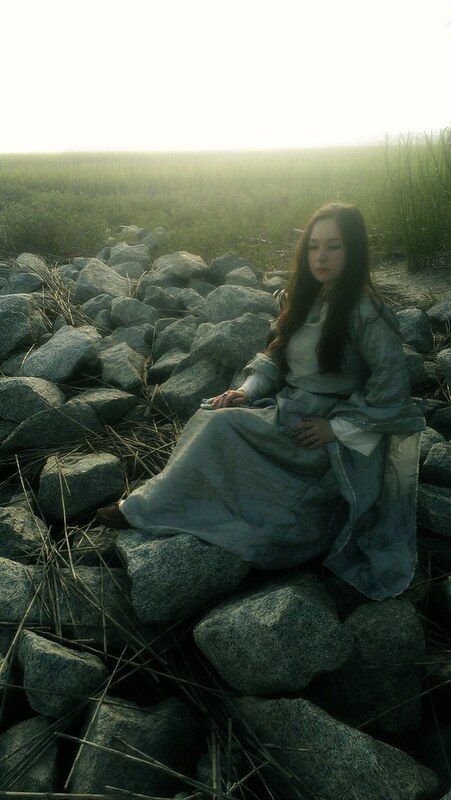 Though where I had been LARPing, quality was not observed. I didn't enjoy it very much, because the men would fight with cardboard armor, and the women would watch them and eat chips and drink soda. I wasn't happy with it, so I quit for a very long time. I kept my weapons and every now and then I would hit people with them who came over. But I knew I'd find a LARP one day that would be a better fit for me. I don't really consider what I did before LARPing. I had always thought there was some sort of art that came with participating in a LARP event and what I had attended previously let down my expectations. Finally one day at work, someone came in and was talking about the hobby, and I asked to participate. Honestly, I was nervous to attend my first event but after going to Avegost, I was ready to dedicate all of my free time to LARPing. 2. What can you tell us about Avegost? Of course, Avegost is purely amazing. It was my dream LARP before I even knew what I wanted. Avegost started as a DnD campaign by the owner Joseph Landolfi. He turned it into a LARP in 2009, after revisiting the idea of the hobby and realizing that the local LARPs were too similar in settling, skills, rules.. Avegost is a heavily driven by the player base. It's a full contact, highly immersive, medieval LARP. 3. What makes Avegost different from other larps? I'm sure everyone will say that their LARP is different. Though I have to say that it is true about Avegost. There are so many things about Avegost that makes it different, at least from the local LARPs, that I love. We have adopted a lot of European practices when approaching LARP as a hobby. One thing that is different, is that we have a Decorum Committee that focuses on costumes and props that enter the game. I had observed that high quality in costuming and props was extremely common in EuroLARPs and I wanted that to be apart of our LARP. So at Avegost, you will never seen anyone wearing tennis shoes, jeans, t shirts, modern materials, or armor that is not set in the time period we observe. Replicating a fully immersive environment is extremely important at Avegost and we go through other lengths to make sure we fulfill a medieval environment. One thing that the other LARPs in the area do, is that they will rent cabins and live inside of them for the weekend. I will give credit to some players who do an amazing job decorating their cabins, however, no amount of props can hide the anachronisms from inside the cabins. 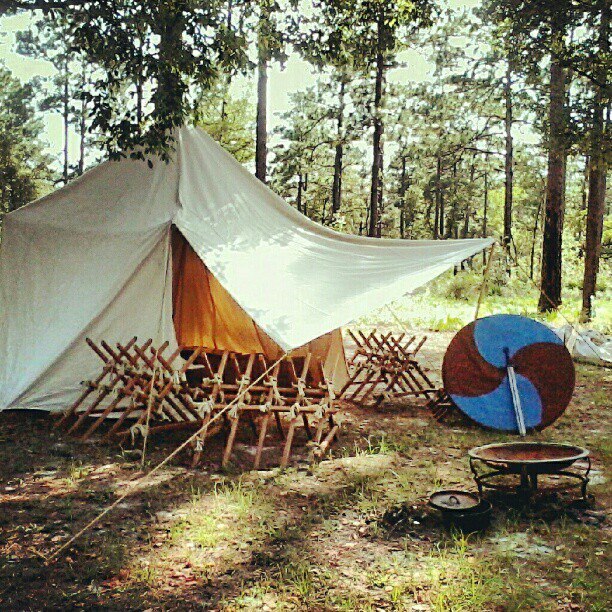 So at Avegost, we have medieval tents and we rent the primitive camping center, meaning we are in the dead woods of the camp ground. I'm very proud of all the players at Avegost, because we all try really hard to pull of the medieval setting and I feel like we do it really well. Nothing is more exciting to me then seeing a huge medieval tent above the bush line in the forest. It looks so regal and really takes me back to that period. In addition to all of the props, decorations, and costumes, Avegost is a limb-based system, which isn't too common at least in our area. They made the change very early from hit-points to limb-based, so that combats were more realistic. I think that there is a level of distraction that comes from counting hit-points and calculating different levels of damage. When a weapon hits your arm, in a limb-based system, you lose the ability to use that limb. It replicates combat much more effectively in a realism perspective. Finally, Avegost doesn't have any illegal zones. This means all places are legal to hit. The head, hand, foot, and sorry boys.. the groin. This is to compliment the realistc combat. At Avegost, we also don't pull out swings, like most LARPs which are "light as touch". Pulling a swing, is unimmersive, for it would require you to think "don't hit too hard", when as your character you should be thinking, "hit this guy as hard as you can". Realism, and immersion is important to myself and the players at Avegost. So believability is key to the experience at Avegost, so players will also focus on the lore that is written on the Avegost Wiki, so that their characters are believable. And what I mean by this is that they will do the research to insure they know every inch of their character before they play. Making up unrealistic memories for a character could be destructive, such as "I killed every orc in the world." If the player is terrible at combat, that would be extremely unbelievable. So players at Avegost go lengths to insure that they are creating real characters instead of character stereotypes that most LARPers create to make themselves seem cool. 4. The introduction of Mike Pohjola's Manifesto of the Turku School has dramatically changed the game. What was Avegost like before? And what's it like now? Avegost in it's early months, was very much like every other American LARP. We counted out hit-points, everyone duel wielded and had some sort of magic wielding ability. Swords were flamed, alchemists dropped bombs, healers brought the dead to life, and we all re-spawned every morning just in time to sneak a pop-tart in before anyone else noticed. However, Avegost, even before adopting the Turku Manifesto, understood what we were doing was the norm and we wanted more. Any armor had to be real armor for it to count. Weapons had to appear realistic, and also, people would hide their food, so that it wouldn't be seen and break anyone's experience. We didn't know it then, but the Turku Manifesto was going to give us some sort of meaning to what we wanted. I remember when I first read it, my mind wasn't blown away, but I felt a calm. A moment where I told myself, "This is how LARPing should be done. This is what I've been missing." I took the LARPer's Vow of Chasity, and LARPing became more then a game, and instead a fulfilling piece of art that I worked on all month long. Avegost changed really quickly. The rulebook went from 1.5 a standard American LARP to 2.0 a LARP inspired by the Turku Manifesto. 5. Was the transition peaceful or turbulent? Was there any drama involved? The change lost us a lot of players. Some people didn't want to work at the new exciting challenge that the Turku Manifesto inspired in the rest of us. The drama would evolve from one thing to another. 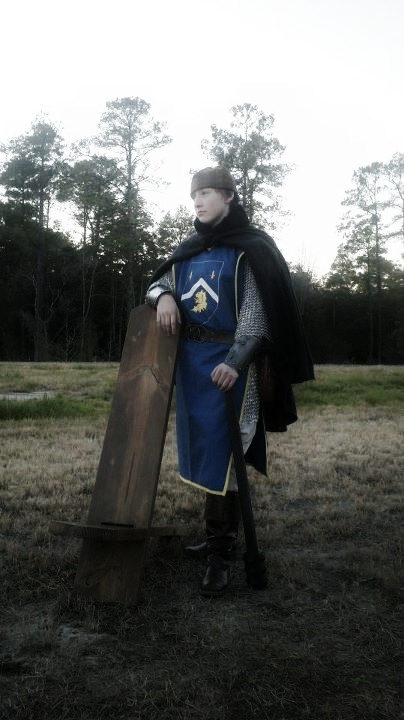 When a player didn't fit with what we wanted to do as a LARP they would complain about hitting too hard, decorum rules were too strict, they wanted to play an American LARP, and they wanted Avegost to be their American LARP. But when those people tried to rebel against what we were doing, they were asked not to returned because we didn't want to play with them anymore. Those players who didn't fit, would try to encourage others to leave as well and it really damaged our community. But after a year or two, it stopped and the struggle that players get from people who don't enjoy what we do isn't tolerated. Though I have to say, after the few people who have left because of goals to be a Turku LARP, I still do not understand their reasoning. For me, Turkuism, is achieving LARP perfection. When following the guide to the Turku Manifesto, I feel like it's so much easier to play my character to experience the setting. It's like a walk in the park compared the overacting and unrealistic storytelling that other larps make their focus. I understand people want to play super heroes and super villains, but if it doesn't feel real, if there is no personal struggle, what point is there in wanting to be those kind of characters. I think Turkuism encourages the best out of players but some people just don't want to try something new. 6. Are you satisfied with the state of Avegost larp now? What, in your opinion, would make it even better? I am very satisfied with Avegost. It's amazing. In my opinion the only thing wrong with it is that takes place in South Georgia. We never get any snow, and it is a huge dream of mine to play in a more Nordic setting. Other then that, the players, the setting, the staff, everything is amazing. We have a huge community base, where I feel like my friends at Avegost are like a family to me. We all spend holidays together, see movies, and we even have a family dinner once a month. I love Avegost. 7. Based on how it's going now, what do you believe the future of Avegost larp will be like? Avegost has a few plans the owner is working on. A large part of Avegost is realism and to work towards that, the owner is putting together what is required to purchase land and build medieval buildings on it. Bicolline is the largest LARP in North America, and they have their own land and buildings and huge player base. Avegost doesn't want to setting for 100s players, we want 1000s. So a goal that the team is working on is getting land. I think a lot of LARPs want to purchase land in the long run, but we need it to reach the full level of immersion. Other then that, Avegost is always working to become a better LARP. Rules changes, new lore, decorum requirements. If we're challenged further then we were before, then we get better at what we are doing. So change is good, and Avegost will have new things to give to it's players always. 8. How many events does Avegost organize in a year? Which is the biggest one, how much does it cost, how long does it last, and how many people does it draw in? Avegost has 12 LARP events a year, one a month for the "Magistrate's Session" or the "Ting Festivi" which are the in-game reasons why the players in the setting meet monthly. A lord of the lands will hold trials and hear to the people of their lands. It is also a time to celebrate any in-game holidays. In the area I live there is a "LARP Season" where people are more likely to attend during those times. At the best events we get about 50 - 70 people and during the low season we will get 30 - 40. For some reason, players aren't interested in attending if it is "too hot" or "too cold". Though in the past 3 years, I have never missed an event. Once a year, the plot team will surprise us with a huge event, or alternative place for the session to happen because the old place was unusable do to a war or conflict. In the past, we had the "Fight for Olshome" which was in the dead of summer and we had 55 people attend. The city of Olshome had been taken over by a usurping lord, so the local lords want to kill him and put someone in power who was heir to those lands. We spent the event plotting how to get into Olshome and fighting off deserters to the war. Our current huge event is going to be with upcoming December, "The Fight for Vlennis" which is a city completely taken over by undead monsters. A break from our usual extremely low fantasy, Vlennis is going to be huge! And the event is 100% free. 9. Is Avegost in any way connected to any other larps? How open are you to the idea? Avegost is not connected to any other LARPs. From what I have heard from the owner, he is not open to starting any other chapters. Avegost is a very secular, and I think the quality of the game would suffer if there were multiple chapters. To insure quality, I feel like the owner and staff, including myself, does a lot of management to make sure props, costumes, rules are the best so that we're all doing what we feel is right. If there was another chapter, that idea of what we wanted may stray. Turkuism in the American LARP scene is very abnormal, and many LARPers do not like the style of Avegost, because they are afraid of the challenges it encourages. So I don't think there is a huge request for Avegost to start another chapter, but you never know. As the hobby increases and more people look for quality in the hobby, I am sure more people will find LARPs like Avegost more fulfilling. 10. You have been on other larps besides Avegost. What would you propose to improve them? To the LARPs I have been to, those LARPs that I never returned to, I would propose to them that they find something in the hobby to care about and use that passion to transform what they're doing into something beautiful, so that they are not settling for the same experience that they've always had. I once went to a Vampire the Masquerade LARP event. I was very excited, for it had been my first LARP event that had a modern setting. As I created my character, I chose to be one of the "artsy" vampires. However, when I proposed modern art to them it seemed difficult for the DM to process what I was trying to say. The other vampires that were the same likeness to mine would carry sketch books and draw, or they would talk about beautiful paintings they had done "somewhere else". It didn't seem realistic to me that all these vampires were so limited. I can't remember perfectly, but I was told that regular human food would make my character sick and not to eat it. However, after sitting there for an hour, I noticed everyone eating. So I asked, and it was all "specially prepared so that our kind can enjoy it." Specially prepared Doritos and peanut-butter cups? Really? I couldn't believe that someone's dedication to simulating the best experience as that character wasn't strong enough for them to hold off a few hours on eating junk food. Not to mention when my character actually asked for some blood, it was given to me in the form of air. As if LARPers don't get confused with children playing in the woods fighting invisible monsters, but these adults were pretending to drink fake blood that wasn't even phys-reped. I know that my way is often seen as elitist and some people have called me a snob. I want to experience a different world where I don't have to use my imagination to feel like I'm there. Immersion is very important to me, and when the standards aren't high on decorum then I feel like it crumbles apart and nothing separates us from those days, as children, we wore a towel cape and ran around the house thinking we were Batman/Batgirl saving the day in our living rooms. The LARPs I have visited, should consider upping the decorum for their player base. Imagining LARP as a piece of art instead of a video game makes the experience much more enjoyable. 11. What are the safety regulations on Avegost larp? Safety regulations at Avegost are different from the ones at other LARPs in the area. We don't modify the rules to meet any one's needs. If someone comes to Avegost injured or has a handicap we allow that player to play however we ask them to put in their own hands their safety. This would mean that they, as an adult, would have to consider the risks on their own. Early 2011, I broke my arm and has to have a cast for two months. I thought about missing an event but told myself I would be alright. I didn't ask anyone not to hit me, and I just covered my cast with cloth so no one would notice I had been injured out of play. The time came where I was hit in the arm, and instead of making a big fuss about how much it hurt, I knew that I had taken the risk myself and I didn't return to combat until I felt I needed to. I remained in game, I didn't complain to any players or staff, I just role-played being in pain because my arm has been hit, like normal. We don't pull swings at Avegost, so if a player didn't want to get hit a lot because they thought it hurt, it would be advised to that player to play a character that didn't get into combat or to invest in armor. Though some people don't always understand that we're not out there to hurt them, we're out there to simulate combats in this different medieval world. When people complain about getting hurt by LARP weapons, it seems silly to be because no matter what kind of foam your weapon is made of, it is still foam. 12. How do you promote Avegost? I aid in promoting Avegost in a few different ways. We do a lot of volunteering for our parks by picking up trash and hosting Haunted Houses for Halloween. As a photographer, I take a lot of pictures of Avegost players in top notch costuming and post them around the web, hoping that someone will find them and enjoy them as much as I do. We also have fighter practices in city parks to not only improve our medieval fighting, but to bring awareness to the hobby. There are a few LARP websites I post the dates of our LARP events on and I also have a running ad in the Connect, a local paper, that tells people how to get in contact with Avegost. Any new method I can find to promote Avegost, I try to get the word out there. You can say.. I'm a little dedicated. 13. Has there been any change in perception of how non-larpers accept Avegost as it changed its style? Yes, actually, 88% of Avegost's players do not come from any other LARP. Most players have only experienced Avegost, and say they wouldn't try another LARP due to the lack of quality in decorum, consistency in setting, and over complication in rules that the local larps thrive on. In the first year, it was the other way around. Most players had been to NERO or SOLAR, and were attending Avegost as means to try new things. 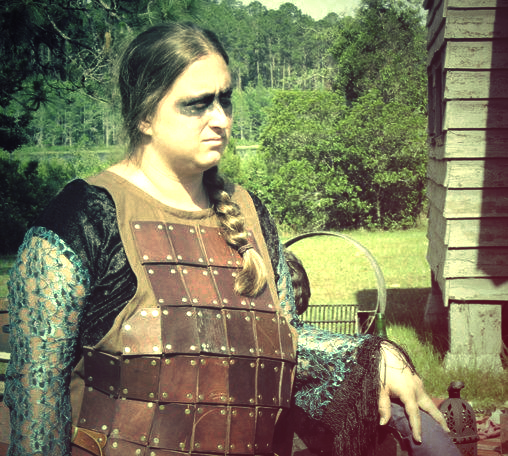 As our numbers increased and the direction went from American LARP to EuroLARP, the players who ended up not liking our style were players who had experienced a stereotypical American style LARP. As we gain new players, at each event, their comments are always heart-filled and pleased because they like our style. More people seem to be interested in Avegost, instead of the other LARPs in the area, because, though the decorum rules are stricter, it is what the average person things a LARP would be like. The "Lightening Bolt" video on Youtube is what people find when they research the hobby, and they often shy away from it. However, when told about Avegost, feedback has always been, "I've always wanted to do that, but other LARPs looked too silly." 14. In your opinion, what would be the most important thing that would make a good larp? I can only pick one? That may be easy. The most important thing that would make a LARP good, is the Turku Manifesto. If even the smallest part of it would be considered by the players and staff, I think it would revolutionize the hobby at that LARP and make it something more interesting. 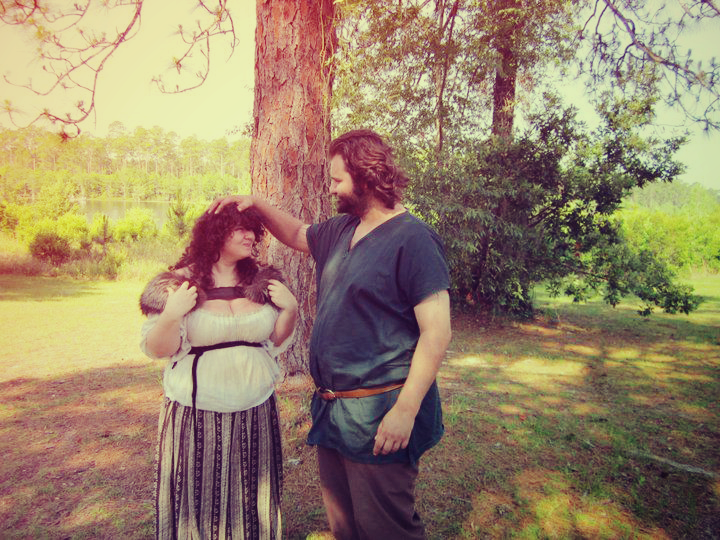 It changed my experience and way that I approach LARPing as a hobby/sport/art and I think it would do the same for others if they were to take the LARPer's Vow of Chastity. 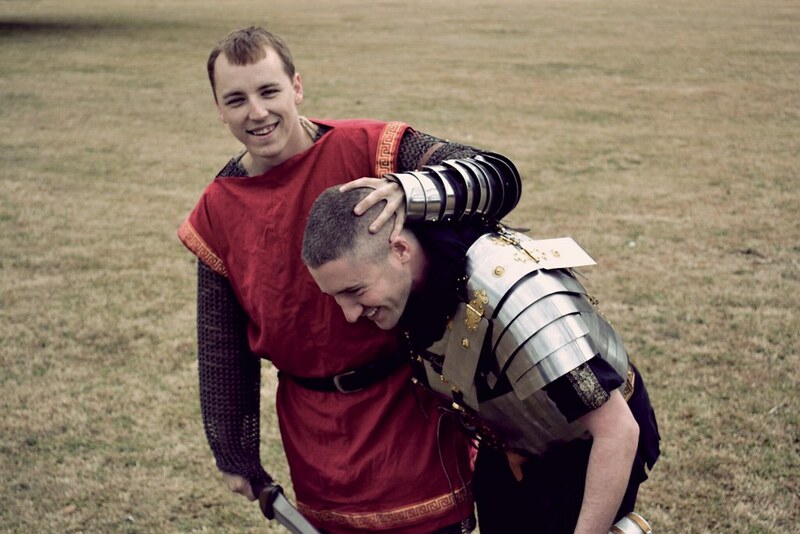 The most enjoyable moments I have at LARP events are often the most miserable. I really get in touch with my character when she is struggling. In fear, panic, worry, or discomfort, I feel like I blossom as my characters because my reactions are like instincts. Though my favorite memory I've ever had was a few months ago. We heard a loud thunder clap in the heavy clouds above us, and everyone hurried to get their belongings in their tents. I had just finished cutting up the onions for our stew and my character's ladies in waiting put the pot over the fire. It began to pour almost instantly soaking mostly everyone who wasn't in my tent. So finally, people starting huddling together in my character's tent. We were completely in character telling stories of places we had been and laughed together as we shivered from the cold. After an hour, my stew was ready and someone ran out into the ran and brought it to us. It was.. rich with chicken, green beans, potatoes, chickpeas, onions, garlic, and a little bit of wine for flavor. It was steaming in everyone's bowls and for 20 minutes everyone sat silently eating this warm hearty stew. I think it was the best stew I ever ate. From that, I get the sense that the realist moments at LARP, don't come from the plot team introducing NPCs as elements of a story being told, but those days when it rains and we react as people not characters. 16. For you, what is immersion? Immersion for me, is when I'm not longer pretending, or acting, or thinking about my moves as a player, and instead I am just my character reacting as a normal person would. I am immersed when the setting around me matched that setting my character is in. 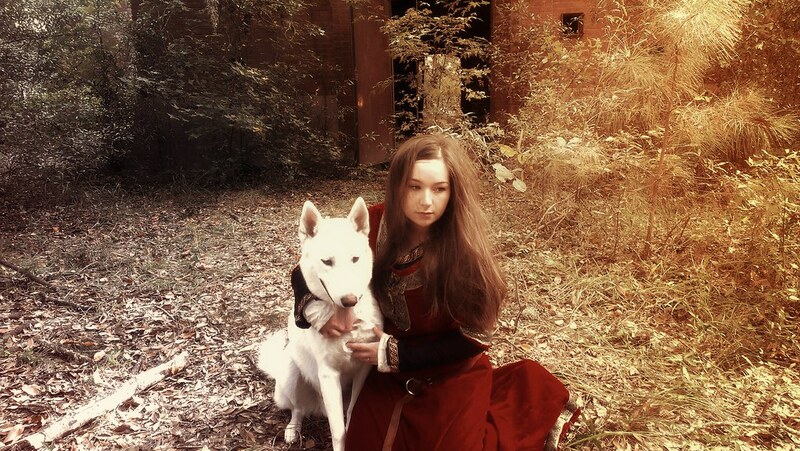 It is also a frame of mind that I fall into as my character and I'm not longer Kaza Marie the LARP GIRL, I am Espen the noble lady, or Roewyn the elf. That the game has stopped, and the life has begun. 17. You have been one of the most active online larp personalities. In the past month, you've uploaded over 40 Youtube videos, lots of photos, made plenty of posts (primarily on tumblr) and answered a lot of questions. How much time, on average, do you spend on something related to larp? If I told you the number you would laugh at me. I have a full-time job, and when I get off work, I try to find LARP articles that I like, quality photos of LARPers to blog about, I try to come up with video ideas that people will like and if I'm not sleeping or at work, I am working on my LARP Girl pages (Tumblr, Facebook, Twitter, Youtube and emails) trying to help people find LARPs near them, give advice, advocate for better LARPing everywhere, take pictures, work on costumes and come up with videos. I've uploaded a lot of videos but I shoot 3 times as many. 18. You're offering, quite publicly, to answer any larp-related questions. How's that working out so far? I'm not sure. My goal is to just talk about LARPing, and how I like to do it. I want people who are new to the hobby to have someone to look to that isn't going to give them advice on how to "settle". There are not a lot of people out there talking about LARPing and in some countries LARP is considered just as big as any other sport. I think once day it will be that way for us in America, so when the interest rises I hope that people might be interested in the challenges I support for the hobby. And for those people who are currently in the hobby, and want to improve, I think I give advice they can use as well, if not that then funny little videos they can laugh at. I'm a pretty big nerd for LARPing, and I just hope that other people will see that I'm doing what I love and it will encourage them to advocate for their styles of LARPing as well. 19. Do you participate in non-Avegost larps? I currently don't play any other LARP other then Avegost. However, I am planning on attending a bunch of non-Avegost LARP events in the upcoming year. I'd like to attend a new LARP as often as possible. I have plans to visit the Czech Republic to attend the Battle of Middle Earth, and in 2014, I want to visit DrachenFest. I hope to take pictures and videos of the characters I play at these LARPs and vlog reviews. I'm open to trying any LARP and hope that I can visit some in my area as well as outside of the country. I have actually received a few donations on my LARP Girl pages from people who want to help support my little campaign. 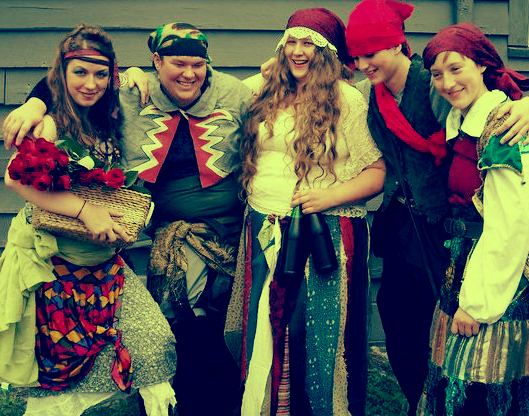 It's very exciting for me to travel, and I so grateful to have friends outside of my area who are inviting me to come spend some time with them at their LARPs. 20. Would you ever visit a Croatian larp? in spain we are at the beginnig, most larps are like the usa larp, but we are in europe!!!! im trying to work as an individual to grow up the level os spanish larps. i would like to traslate this article to spanish, if the author and larpgirl has no problems with it. may be in the future i have to traslate the turku manifesto. thank you!!!!! ill do it as soon i can!!!! greetings from spain!! !